My Words of advice for those of you who are beginning..
Let me start off by saying, I am no expert. As much as I enjoy tying, and as much as I am immersed in the learning and the teaching aspect of it; I am not afraid to say that I don’t know everything. Even after these 4 years I feel as though I have only begun my journey behind the vise, and to me; that is exactly why this is so exciting. Just like everything else in life that you enjoy, it’s a never ending learning experience. I am not afraid to ask questions, or to say that I dont know something, and that right there; is something you shouldn’t be afraid of either. I am not ashamed to be sitting at my table, tying a at a show, and not have the answer to a question I am asked. I have been known to look around the room for someone that DOES know the answer; such as Dave Brandt, Catskill John or Mike Romanwski or the many other tyers that I’ve had the pleasure of learning from while attending shows; and then accompanying that person to their table so we can both research the pressing topic. I don’t see the shame in it, because truthfully; I enjoy it. I have many questions that I sometimes forget to ask in my busy life, but to be able to stand there with a same person and learn side-by-side with them, to me; isn’t a downside. Its an upside. Since now we both know the answer to a question, that five minutes ago neither of us did. I’m OK with all of this, and you should be as well. But too often I find people would rather sacrifice the knowledge they could have acquired, by holding back a question in fear of sounding like a ‘beginner’ or an ‘idiot’ in front of others. The bottom line is, “We all began as beginners”. It’s its something that I say often, and it’s nothing to be ashamed of. Have you ever asked a question in a group or demonstration, only to see or hear someone turn up their nose and laugh at you? I have. It’s happened to me, and you know what? I don’t care. To some of us life has always been a personal journey, not a popularity contest. 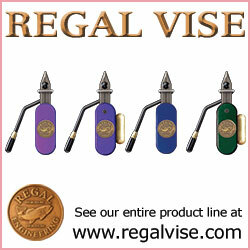 So grab a notebook and pen and attend those shows, seminars and demonstrations! Look in your area for fly tying events and attend them. Then ask those questions. Ask them, and ask them proudly. Ask them knowing that someone next to you may have the same question but be afraid to ask. And if you find that your questions are treated with disrespect and sneers? Then you simply ask someone else. Don’t let the response of one or two hold you back from learning, because the majority of fly tyers enjoy teaching and passing what knowledge we have, onto others. Better yet, before you go to a show pack up a couple flies that have a technique you were having trouble with. As you walk around the show and see someone who’s end result is what you wish to have, show them your flies asked them how you can improve and then listen to their advice. Not to say everyone you speak to will be thrilled to help you, but the fact is that if they aren’t? You’re in a room so big that you’re bound to find somebody who will. I hear people say to me, I can’t wait till I can tie like you, your flies are perfect. Actually they aren’t perfect. 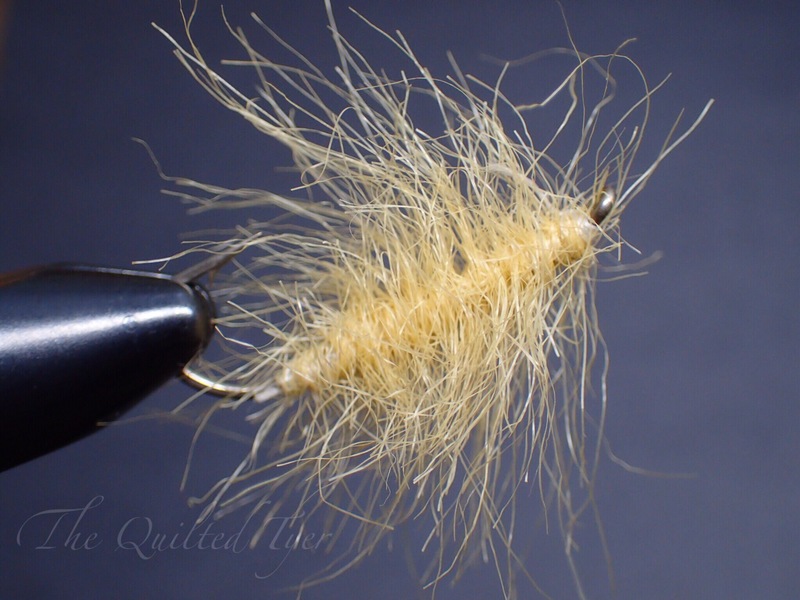 We may strive for a photo perfect fly, and while proportions are always important; every fly I tie isn’t perfect. 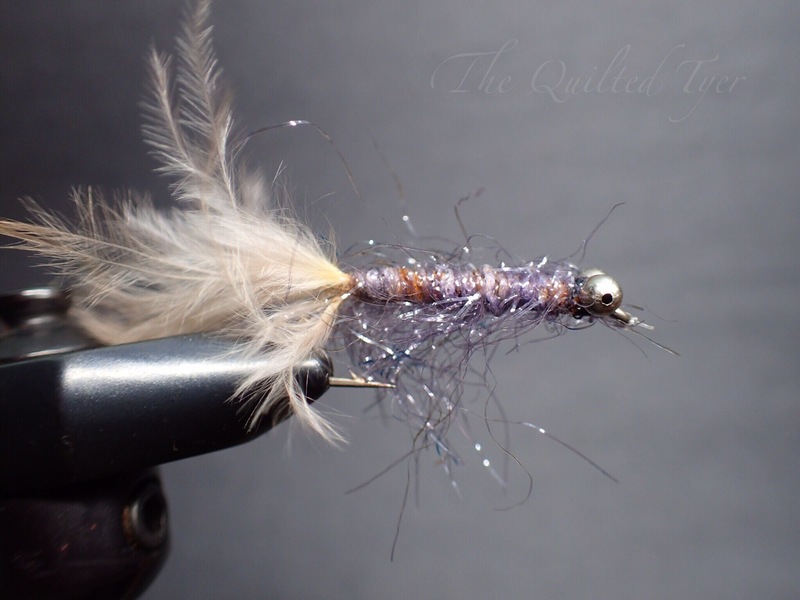 For aesthetic purposes, I enjoy challenging myself to tie my flies the way that I do, but that doesn’t mean that everything I tie looks like the one in the photo every single time. And when it doesn’t, like many of you; I squint my eyes, make a frustrated face, pick the feathers out of my cold coffee and tie another. The flies Im going to show you are ones that I found after unpacking and settling into our new home. All of these flies were tied within the first two weeks of me starting. So for those of you that message me and tell me you are just beginning, and “wish to one day tie like that”, just remember where you started, and where you are now. Look at how far you’ve come, don’t dwell on where you wish you were. This one here, is the absolute first fly that ever came off my vise. I remember sitting there tying this one while watching a DVD I had received in a kit, I have no idea what it is. It was more of a “How to make a dubbing loop” fly. I had never fished it, I just saved it. Now mind you I started tying flies before I started fly fishing. This fly here, as you can see, was fished quite a bit. I caught my first bass on this fly. That reddish orange color is rust. 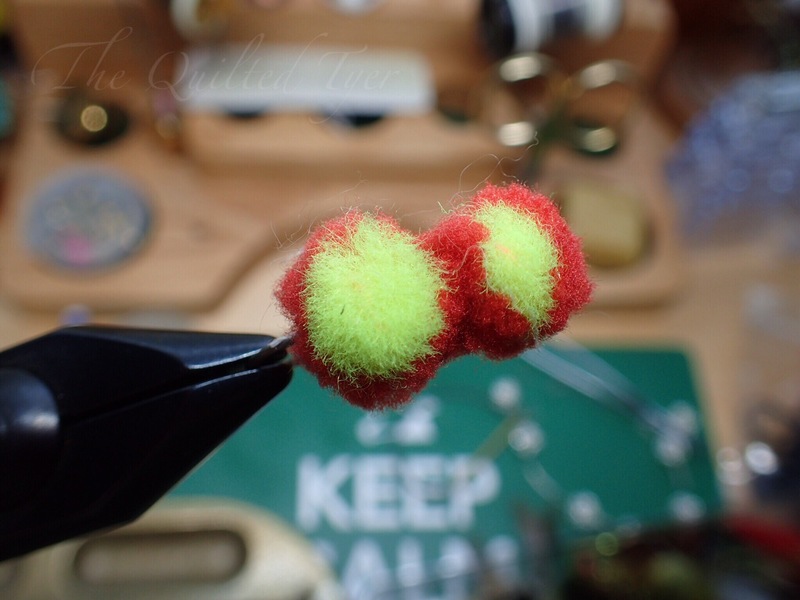 “Two over easy”Have you ever fished an egg fly? Tiny little thing made with glo yarn or such material? ..well i wasn’t aware they were so small the first time I tied them. Needless to say, It didn’t work. 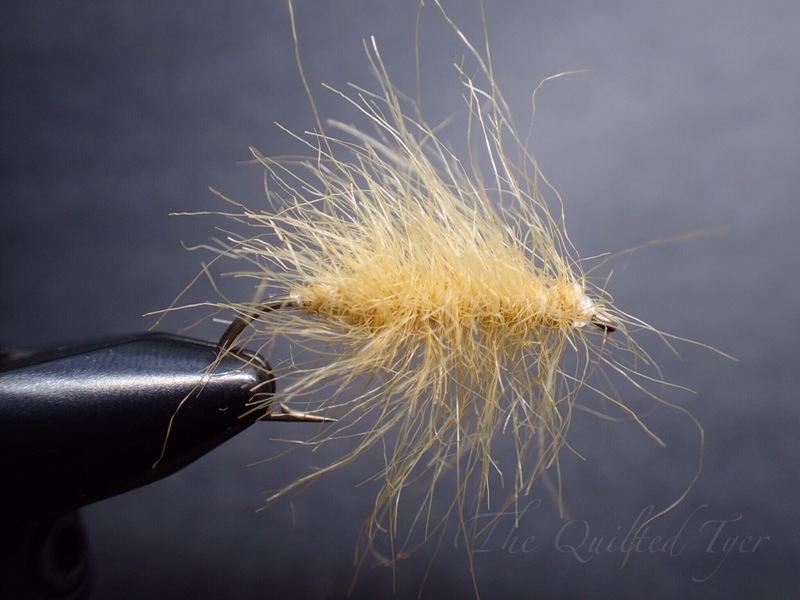 This ‘thing’ accounted for more bass and trout when I began fishing than any other fly I tied. 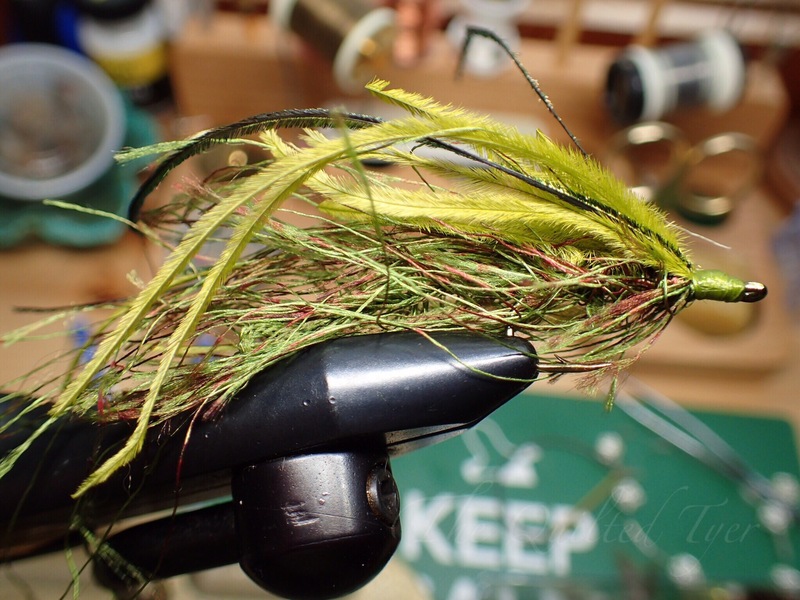 Note my ‘sweet hackle wraps” never made it around the shank. Im just gonna leave this one right here..
Did I fish it? You bet! This was supposed to be a scud..
Somewhere in that plump body is wire ribbing.. somewhere..
Way to crowd the hook gap! Forgot the ribbing.. crowded the eye..
Proportions ? What proportions. [/caption]< p style=”text-align: center”>And you know what? I didn’t give a crap what anyone thought because I was enjoying myself behind the vise and my time on the water. Not to mention, you would be surprised how many of these caught trout. My final advice to you? The bottom line is: I tied these with pride, and that’s how I fished them. Don’t concern yourself with the negativity of others, no one needs that crap. Always take constructive criticism and ask those questions. Don’t look at something you create and down talk it, just remind yourself that the next one will be better, and challenge yourself. Anytime you see a pattern that makes you immediately think to yourself “I’ll never be able to tie that”.. I want you to tie it. Tie them horribly, tie them beautifully, tie them upside down by accident (believe me, I’ve done it at a show when I was nervous!) but no matter how you do it; tie them. Because at the end of the day, your own personal progress, the fact that you are enjoying yourself; is all that matters. And remember, we all began as beginners. ← P.H.W.F.F. Meeting Recap- August 23, 2017: The tying contest and a surprise for Harry! You are sooo wise!!!! Your message goes beyond tying!! !